So you’ve decided to take a big step in the culinary world and open a restaurant of your own. Perhaps you’ve talked to investors, managers, attorneys, and other experts to make sure your business plan is sound, but have you spoken to an architect? After all, the actual construction of your building and the creation of the interior are two of the largest investments you’ll be making, so this professional’s advice is critical for ensuring your new business gets off on the right foot. Once you’ve found the right site, you might be tempted to open as soon as possible. However, a tight deadline could force you to push back opening day if you run into a construction delay, which is often inevitable. Paying rent for a few months before you open will be worth it to ensure the first day of business goes smoothly. Changing your mind about architectural details halfway through the project can cause cascading delays, not to mention the wasted money. 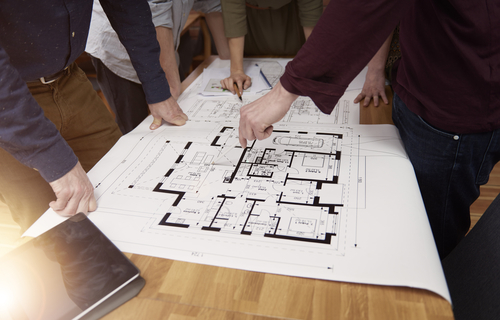 Once you’ve settled on a plan with your architect, stick with it and keep moving forward until the project is finished. Many new restaurant owners spend a great deal of time perfecting recipes and deciding on a menu, but don’t neglect the importance of creating the right atmosphere. The decor inside your restaurant is an important part of your branding and sets you apart from the competition. With over 20 years of experience and a reputation throughout Rochester, NY, for innovative designs and incredible results, Pardi Partnership Architects PC has worked with businesses in a wide variety of industries. With their streamlined process, their team will help you bring your dream to life and handle every step of the process along the way. To see some samples of their work, visit their website. Call (585) 454­-4670 to discuss your project and request an estimate.